Case size reference. Often watches look larger or smaller when compared to each other instead of just on the wrist. Here is a simple comparison. 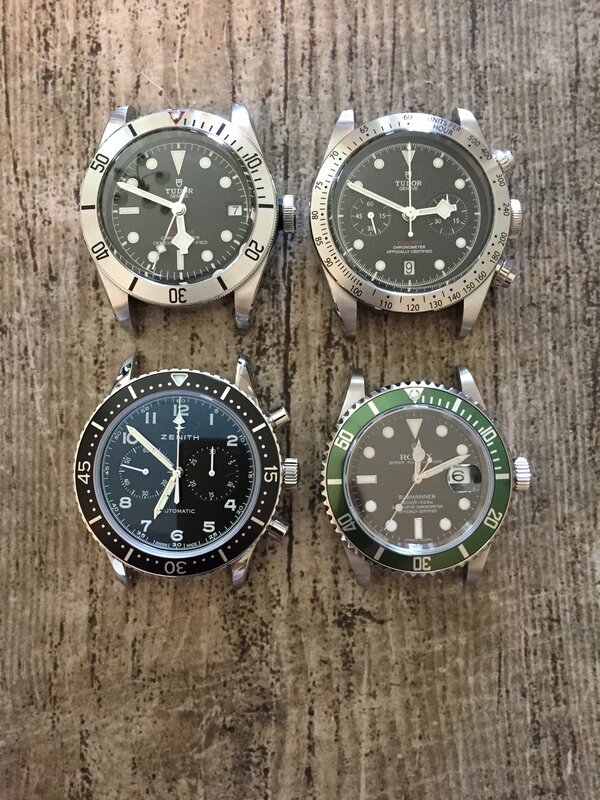 Tudor black bay 79730 41mm / Tudor black Bay Chrono 79350 41mm / Zenith CP-2 43mm / Rolex Submariner 40mm.